The pilot episode for our show Knight Shift is now love across all platforms! Check out the new pilot for our show Knight Shift! From epic battles and the daily workings of quirky bearded men, to issues with employing friends and family, Knight Shift unites the whimsy and heroism of nerd culture with the average work day. Not just any wedding! But one in full fantasy/medieval/viking style. Without the right tools, having or attending a medieval-themed wedding can not only be expensive, but can can still leave you disappointed. The most important aspect of any medieval wedding is the clothing, in fact, thats the main feature of a medieval wedding. But where do you start? Coordinating groomsmen, bridesmaids, and the guests can be exhausting, and if details are missed, it can ruin the whole effect. That is where Fell & Fair is can help. 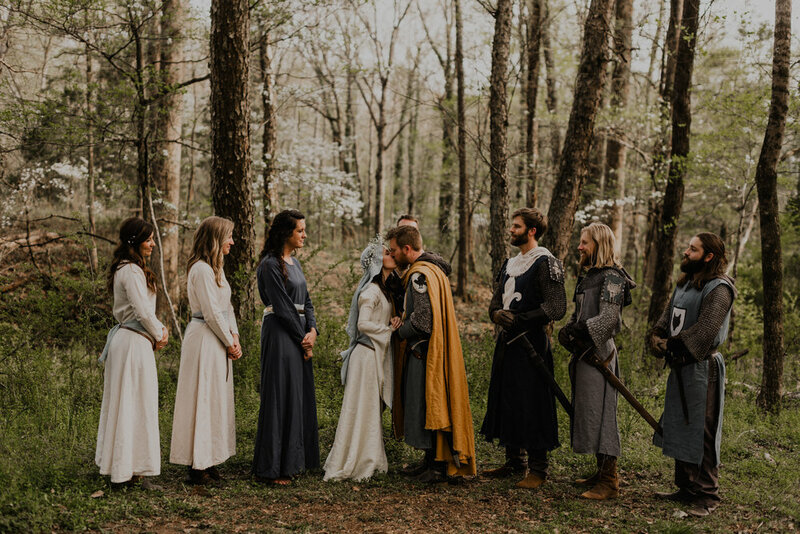 As costume designers for film, theater and live events, we began designing medieval weddings before we even realized it. Since then, we have had opportunities to work with several wedding parties in creating the medieval atmosphere they wanted. 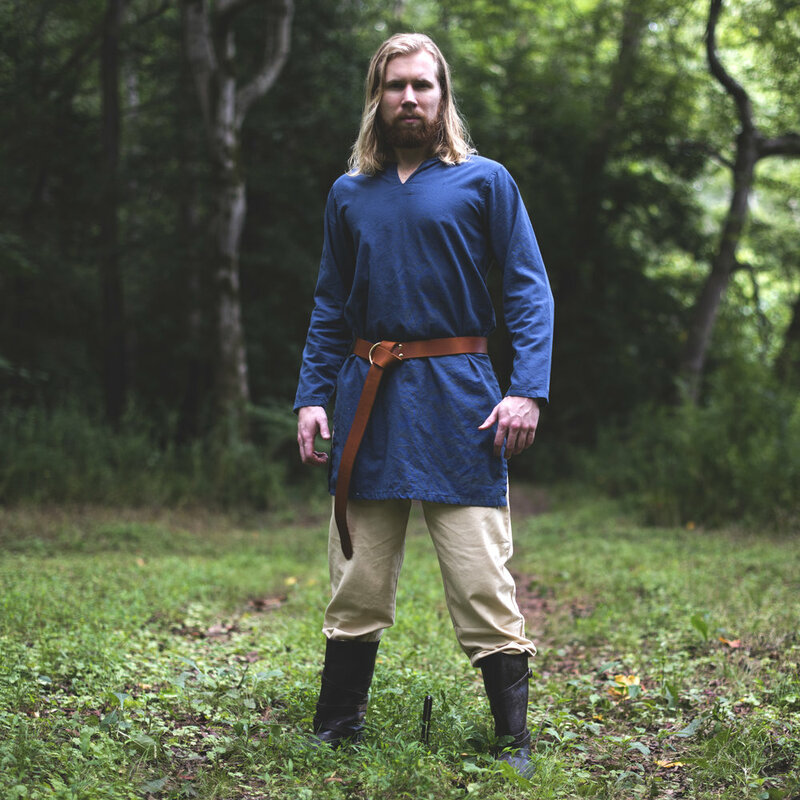 We use our collective resources, global contacts and costume design skills to assemble your perfect medieval outfit. No matter if you are looking as a wedding guest, or as someone throwing a wedding yourself, we are happy to help you out! Have a Theme: Vikings, Knights, Fantasy, etc... Having everyone look like they belong together is key! Not sure of your theme? We are happy to help! Contact Fell & Fair: Send an email to contact@fellandfair.com and lets start a discussion! It's no commitment to ask! We can get an idea of your exact needs and give you a quote! Design Your Wedding: Once we have an idea of what you want, we can present some options at various price-points. Communicating With Your Wedding Party: Once we have a plan, we will need to work with your wedding party! No matter if they are buying their own wedding attire or you are purchasing it for them, we can communicate with them to get their sizes and measurements. All the Rest: Want your attendees to have an option to buy a themed outfit as well? We can build easy-to purchase packages that they can choose from as well! Your Wedding Delivered to Your Door: We will ship your outfits to you, or directly to your wedding party/guests! That gives them plenty of time to get used to their new outfit before the wedding! We create a variety of simple outfits to choose from as well as more complex ones! "Amazing quality.... The company is quick to respond, to questions, concerns and are willing to problem solve with you which is great a[s] I hate buying online but these great people made me feel at ease. I purchased a full set (belt, boots, shirt and pants), there was an issue with size ([I] am a larger fellow) availability, as in this may take a week longer to get my order, or more. The guys were quick to email me with the issue and multiple solutions! Hands down best buying experience I have had in a long time. The other groomsmen saw the quality of this garb and ordered theirs through Fell & Fair as well, excellent!" [Fell & Fair] is without a doubt one of the best artists I have ever met in terms of service. I had a wedding last week, and [Fell & Fair] was able to outfit at least 4 people with incredibly short notice. I realized that I needed a belt and boots, and he overnighted them to me.... the garb is heavy weight and of incredible quality. I will always recommend [Fell & Fair] as an artist, and I will continue to purchase from [them] in the future. Don't worry about asking for help! We love doing this! We are always happy to answer questions. Are you a guest? Let us help you shine as the best-dressed guest at the wedding! Our first short film has been released! Be Like a King" is a "fantastic" re-telling of the famous English play. The film is centered around the scene that sparked the war that would immortalize Henry V in history. "But tell the Dauphin I will keep my state, Be like a king, and show my sail of greatness When I do rouse me in my throne of France." ~ Henry V "Be Like a King" is a short film featuring one of the most iconic scenes from William Shakespeare's play, "Henry V", starring Zan Campbell and Jonathan Raines. Some wonderful folks from Anderson University came gat a behind-the-scenes look at Fell & Fair. Check it out! Fell & Fair Productions and Electric Soul Productions bring you a short film based on the Assassin's Creed Universe set in the American Revolution. We came, we saw, we were destroyed. Its always a pleasure to work with our friends at 9/8 Central! Take a look at our most recent comedy short "The Password".